I was stopped in my tracks passing this one in St Martins Lane last week. How had it passed under my radar? There is no shortage of venues in London at present producing high quality coffee: Caravan, Monmouth and Square Mile among others offer in-depth and nuanced flavours worthy of a wine connoisseur’s attention. For most, it seems enough to focus on this one thing. But, it has always seemed to me odd that while you’re paying rent and rates on one area of bricks and mortar, why not enhance the customer experience while they’re on the premises? After all, there’s only so much homage you can pay to an Ethiopian Ogawa Natural (sorry, you coffee boffins). In any event, coffee and good music go perfectly together. In Brazil for example to drink in silence in a coffee bar seems inconceivable. Last year Alan and Marion Goulden, with their longstanding music shop selling jazz, classical and world music, teamed up with Robert Robinson and Fabio Ferreira, who used to run the highly respected Flat Cap coffee cart in Victoria. With the market for CDs diminishing, and a dearth of good independent coffee bars in the area, to combine the two seemed a perfect arrangement. Like greetings cards and books, CDs and DVDs mainly take up wall space, although expertise is obviously necessary to manage the stock profitably. So, all the partners bring their special skills to the enterprise. During the day the food offering is sensibly limited: sandwich and salad based with the addition of Scrimshaws Pork Pies. They don’t try to over extend themselves, but buy in the very best. The coffee is from Square Mile and Has Bean, two roasteries which take their craft very seriously. And Chegworth Valley apple juices are always an indication of careful supplier choice. Intelligence is also evident in the choice of a tea supplier, which in this case is Teasmith at Spitalfields. The tea is properly made at the right temperature. It always seems mad to me that so many places where the coffee is excellent cannot get the tea right. It simply needs three things (apart from having the right quality tea of course): water dispensed at the right temperature; left to brew the required 3-4 minutes before pouring out; not letting the leaves stew in the water after this time. It is not that difficult to get it right, and they do here, completely. 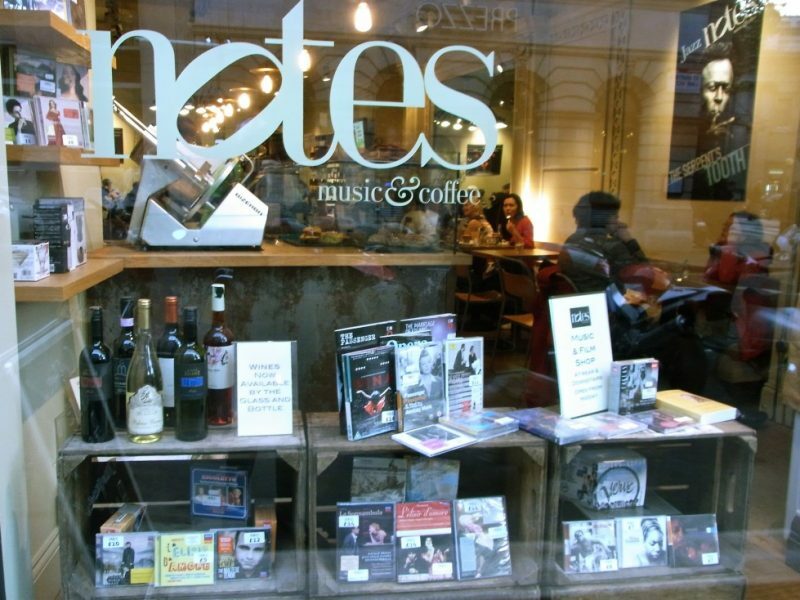 Notes Music and Coffee is open late, so perfect for before or after an opera night out at the Coliseum next door. The well selected and reasonably priced wine list, is paired with small plates of items such as Frittata, Gravadlax, Manchego with membrillo, or Charcuterie. The staff are friendly and welcoming, and tap water is copiously on offer. What more could one want for a place to hang out? If you’ve got music knowledge in your team, this seems an obvious model, for the best return on overheads. 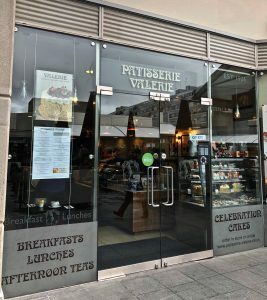 And it is clearly succeeding for the owners who have just opened a second premises in Wellington Street, right next to the Royal Opera House, with the same components.